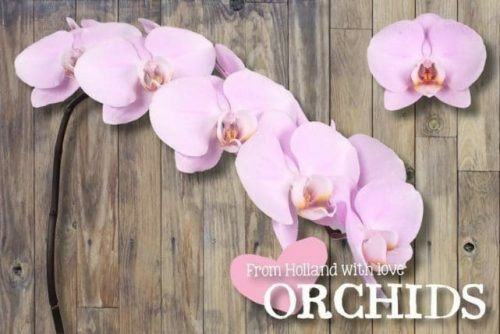 Imported from Holland, these Butterfly shape Orchids will add beauty and elegance to any special event decoration. Use the Butterfly Orchids to make centerpieces and cascading bridal bouquets. Buy Wholesale Bulk Fresh Cut Light Pink Phalaenopsis Butterfly Orchids Flowers Online. Order with a minimum of 7 days notice of delivery date. Note, these are not plants. They are fresh cut flowers not potted. We suggest scheduling the flowers to arrive 2 days before your event in order to allow the flowers to hydrate and open in time for your event. Please visit our Fresh Flower Care link below for information and tips to ensure best flower performance. All images are from the actual flowers, due to different monitor display settings, the shade may vary to a small degree from product image shown. Orchids are delicate flowers, avoid displaying in warm environments. Orchids are delicate flowers, avoid displaying in warm environments.